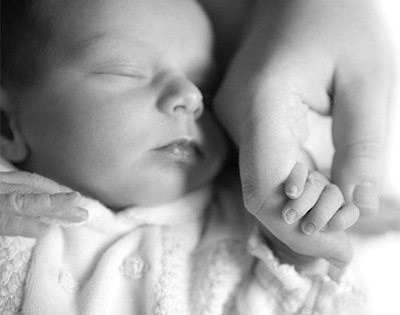 If your baby’s breathing slows below 10 breaths per minute or cannot be detected for more than 20 seconds, an audible alarm will be activated allowing you to take action. This Value Pack combines the peace of mind of the Babysense2 Infant Breathing Movement Monitor with the quality audio monitoring of the Secure55. Why Should You Choose a Babysense2 Infant Breathing Monitor? 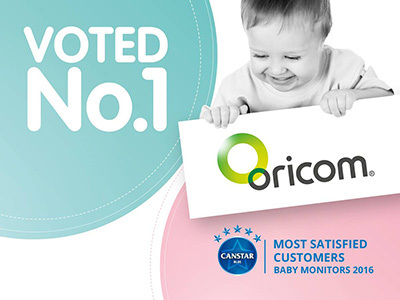 Oricom baby breathing monitors provide peace of mind by monitoring the breathing movement rate of your baby as they get the vital sleep they need to grow. If the breathing movement rate falls below the threshold you will be alerted both visually and audibly. Breathing monitors offer far more than just a regular audio monitor, they combine the power of innovative sensor pads with an alarm that sounds if your baby's breathing cannot be detected. Top paediatricians recommend the use of a breathing monitor if your baby was born prematurely or has breathing difficulties. Ensure you can always hear your baby: no matter what life might demand of you. The Breathing Monitor comes with an added Secure55 DECT Digital Audio Monitor. 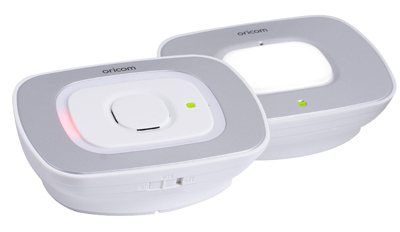 Oricom's Secure55 Digital Audio Monitor helps parents keep tabs on their newborns, while they are busy with other household chores. Using Wireless DECT Technology, the monitor produces superior quality audio so that you can listen to your baby. The monitor features a parent and baby unit, designed operate in wirelessly between separate rooms to ensure that parents can keep tabs on their baby. "Oricom holds itself out as an expert in communication, and consumers appear very satisfied with their range. It produces a range of audio and visual baby monitors, as well as breathing movement monitors. Some of its products boast leading monitoring technology, and are offered in a range of prices to suit different budgets," said the Canstar Blue survey. Battery Performance - Parent Unit Rechargeable batteries in the parent unit will last up to 8 hours in normal use. Leave the batteries to charge for 16 hours to reach maximum charge.